Make stopping sooner a priority. 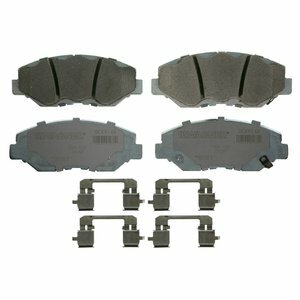 Wagner OEx brake pads can stop pickups, SUVs and CUVs up to 50 feet sooner than competitive brands based on third-party on-vehicle testing. Wagner put science behind the stopping power of Wagner OEx with innovative engineering and design. OEx is made in the USA. Premium stainless steel hardware included in the box.